DIY flowers have to have every edge. Professional florists have large coolers with the air heavily saturated with water. Home refrigerators and air conditioners are designed to take humidity OUT of the air. If you have one, plug in a cool mist humidifier for flowers that are going to remain in buckets out in an air conditioned rooms. 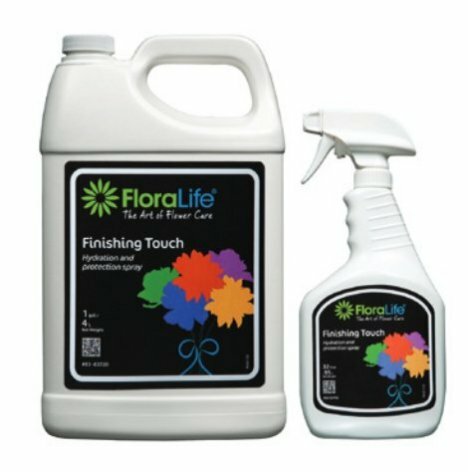 If you can - put cut flowers (corsages and boutonnieres) and the bridal bouquets into a refrigerator after misting with a flower sealant such as Finishing Touch or Crowning Glory. 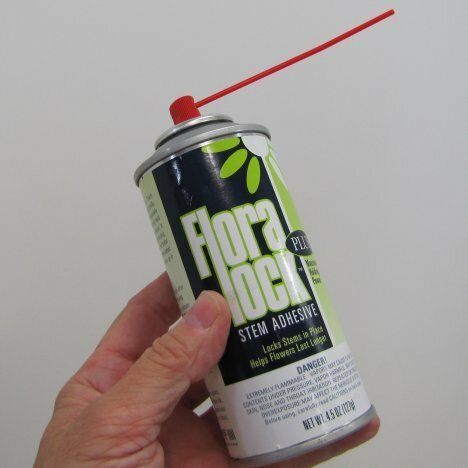 I usually secure the stems in the bouquet with a floral stem adhesive like Floralock. The long red nozzle (after can thoroughly shaken) is squirted in short bursts into the bouquet holder near the flower stems. 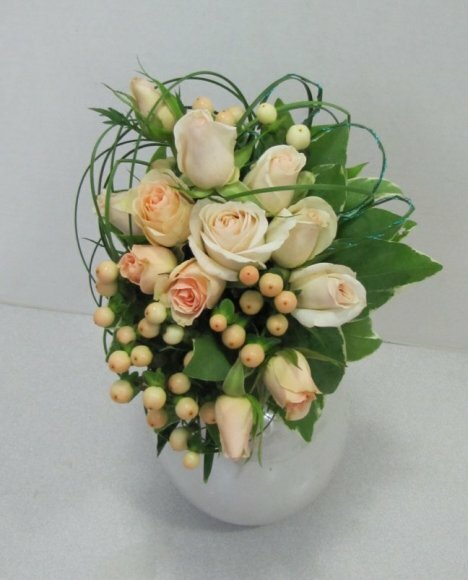 This securely locks the stems into place and no flowers fall out during the trip down the aisle. 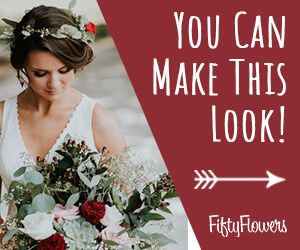 Be sure to check out the matching tutorial for the bridal bouquet.